To survive in a competitive market, a business needs to be resilient. In order to be more resilient, it needs to assess what could go wrong, and how things can be improved to mitigate risk. In order to strengthen an organisation against potential setbacks, you need to consider a range of factors including: premises, staff, customers, suppliers, equipment and technology. Think of a business as a piece of machinery. Every department needs to work as part of the wider mechanism to help it run effectively. These days, IT is a particularly essential component – a cog that connects all the departments and keeps them communicating, as well as a catalyst for many of the processes themselves. Gone are the days where data backup and systems were the be all and end all of business continuity, and now the most important facet of IT for businesses is widely considered to be networks. The Internet of Things (IoT) presents a vision of the future involving constant connectedness – where the tiniest pieces of data are harvested and then inform processes. This shift in the role of networks means that the very nature of being connected is about to change – IT is no longer going to be a catalyst for processes, it will become part of the processes themselves. Connected systems will harvest data and communicate information which then influences and affects output. In a world where connectedness is so integral, a new problem arises: what happens when the networks fail? As technology becomes ingrained in the processes themselves, it stands to reason that when problems occur with this technology, it will have a significant impact. It’s important to start assessing the potential risks, and taking steps to mitigate the effect these might have on your bottom line. What happens to a business when its networks fail completely depends on the business. Different businesses will rely on processes to varying degrees. So the first thing a company needs to do when it’s thinking about improving the resilience of its IT systems, is an audit of how it uses them. Consider all the processes that depend on connectivity in your business, then rank them in levels of importance, to work out which you need to give priority to. For example, Computer Weekly recommends that you group them into four distinct categories: critical, essential, necessary and desirable. – Critical: What is required to physically run processes that directly affect manufacturing or sales? – Essential: Which services are essential to the business, but could be halted in the short-term? For example, payroll. – Necessary: Efficiency is one thing, but when you’re cutting things back for the sake of network failure, it’s about effectively distinguishing the subtle difference between essential and necessary. – Desirable: It’s important to consider the short-term as part of this equation as connectivity in many senses will not be missed temporarily. Once you’ve considered how your business uses networks and how interrupted service might affect each area of your business, you can then accurately assess the measures that could be put in place to inhibit this. You should rank processes based on how much each area depends on connectivity and the role it has for the business, and most importantly, profit! 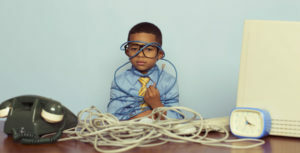 In order to make your business more immune to network setbacks, you need to implement a system that utilises many different kinds of connectivity, while remaining secure and without causing additional problems for users. Smart routing, bonding and Software Defined Wide Area Networks (SDWAN) can all be ways of improving network resilience and therefore business continuity. Although this can be expensive, it’s important to weigh this up against the cost that network failure would have on your business. As well as preparing yourself for potential setbacks by making your systems more robust, you should also consider taking out Business Continuity Insurance to cover your profit while your business isn’t operating as normal. Many companies offer specialist Cyber Insurance policies that cover you from the business interruption of cyber-attack or network failure. Insurance policies around technology are still evolving, so always consider exactly what you want from a policy before talking one out.